Mother Son Tattoos represent the indescribable bond of mother and son. 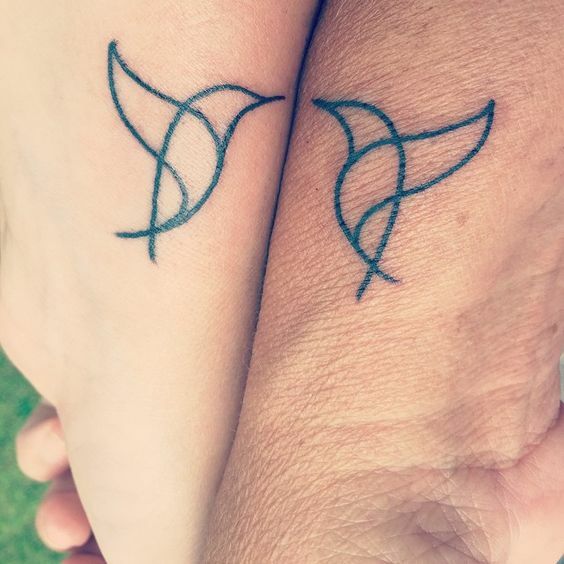 These mother son tattoos will fill your heart with love. 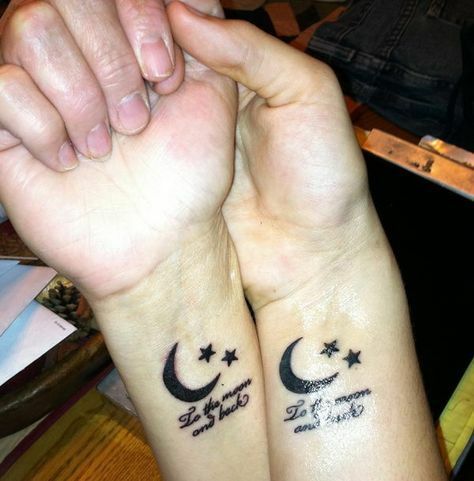 Check our collection of heart melting ideas for mother son tattoos. Tattoos that are super small with the simplest design are loved by so many people. There are some people who can only get tiny photos so this is definitely for them. 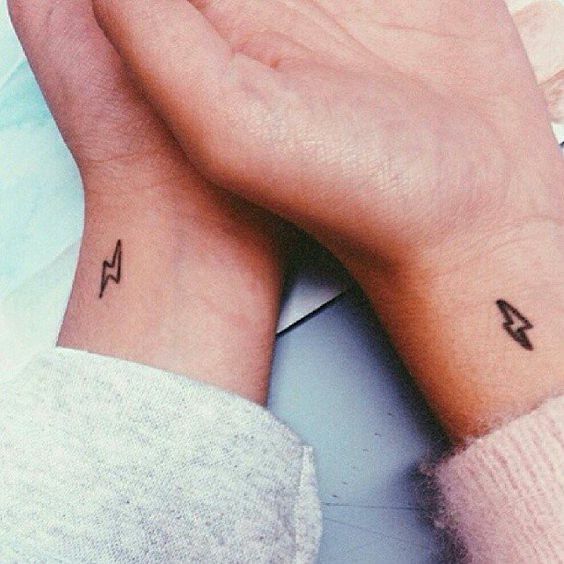 You can see this is a matching wrist tattoo which has a tiny thunder symbol. 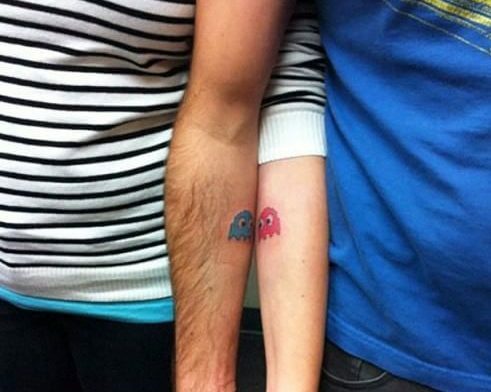 Now, here comes a super creative tattoo that actually tells you what matching tattoos are for. 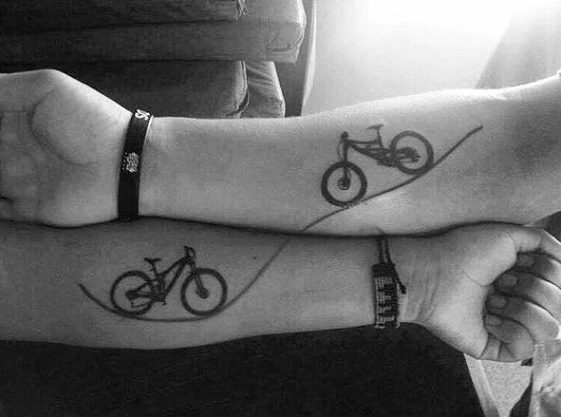 This is a beautiful tattoo which has been made on the arms where you can see two bicycles on each arm with a road below them. When both arms are joined, it makes one big road. Different tattoos symbols are combined together to create some amazing shapes that are adored by so many people. 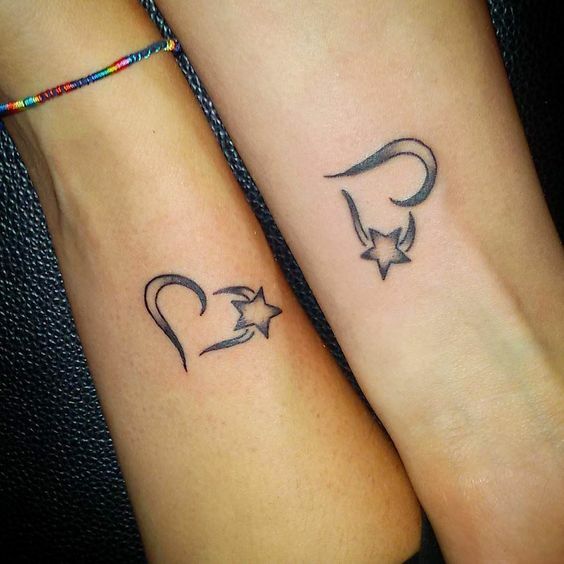 Here comes a lovely tattoo for mother and son that has a heart with a star joining it in the side. The shading and the whole look of this tattoo are just perfect. Here comes yet another tattoo for the people who prefer their tattoos to be on the wrists. 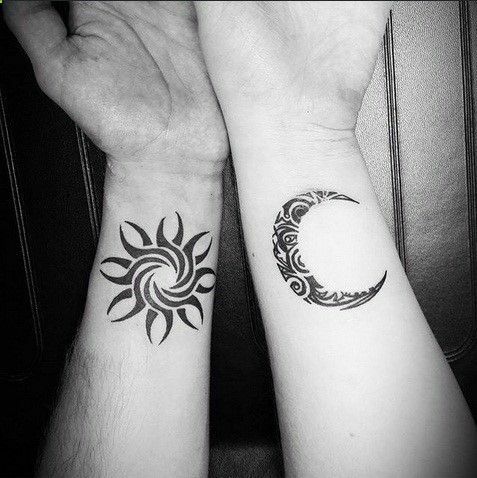 This is an awesome and super creative tattoo of a moon and a star for mother and son which has some really deep meaning inside. The shapes have been beautifully made. 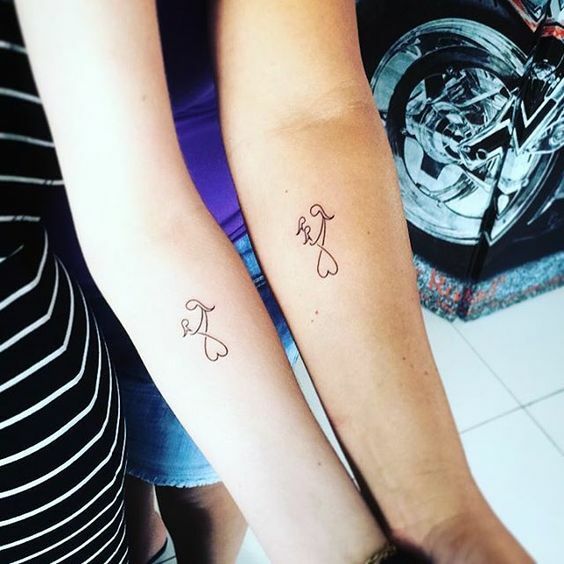 Matching tattoos on the wrist with the cutest and simple designs are always the best and favored by tons of people all over the world. Here comes a tattoo for all the cool sons who want to get a tattoo for their mothers. It looks absolutely beautiful with the minimal design. Here comes a breathtaking tattoo for people are not at all interested in getting anything cute or colorful made. 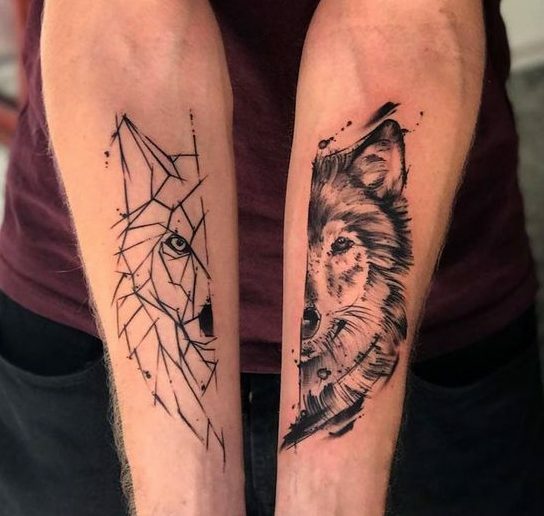 This is an awesome tattoo of a wolf in two different designs that look stunning and everybody can fall in love with it instantly. There comes so many times in your lives when you are not at the top of yourself and feel like everything's going down. We always need someone to remind us to stay focus and motivated. 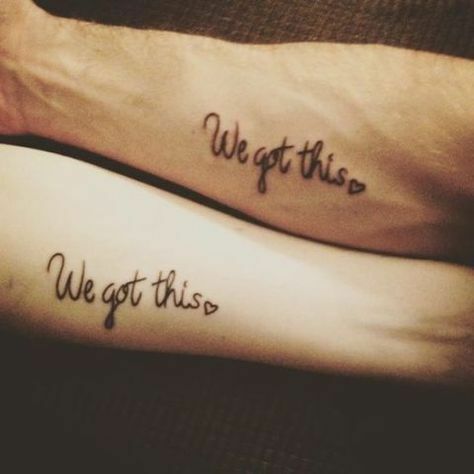 This is one such matching tattoo that says "you got this" and I think its beautiful. Who doesn't like colorful and cute tattoos? Well, when it comes to getting tattoos for your special ones, you have to think of designs that might make them smile and melt their heart away. How beautiful is this tattoo that has colors in it and is made at the arms? Tattoos can be made at any part of the body but some parts have big tattoos whereas some parts have small tattoos. Hearts are everybody's favorite which can be made however a person wants. 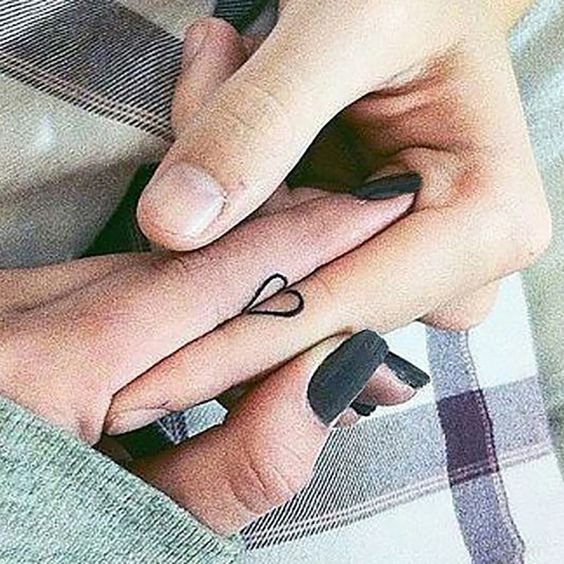 This is a beautiful tattoo of a tiny heart made on two fingers which becomes a full by joining the fingers. Artistic tattoos always look cool and add more beauty to the whole look of a tattoo. Look at how stunning this tattoo is which has an owl sitting on a tree branch. It has been made very delicately and both the arms contain the same tattoo. It clearly looks like people are obsessed with tattoos of animals. I can't deny that fact that animals are super adorable and can melt anyone's heart. 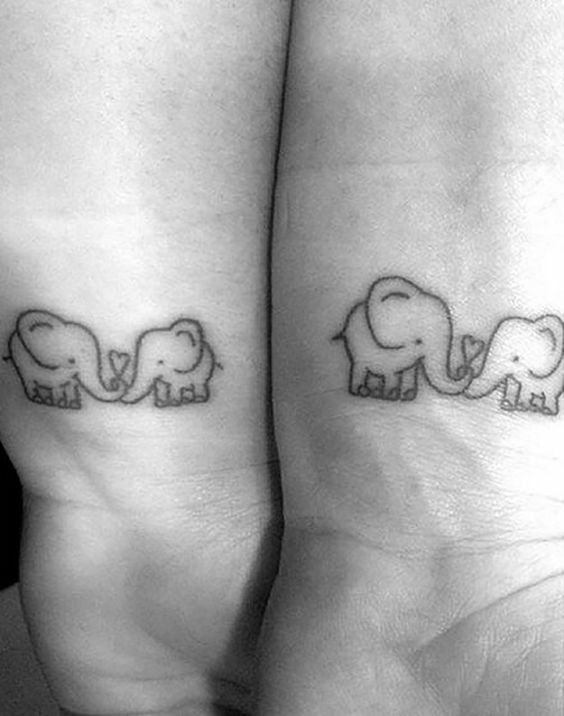 Look at this matching tattoo which has two cute elephants with a tiny heart in between them. We all love tattoos that give a subtle and a unique look. The mainstream tattoos can get boring after a while so get something that you don't see on most of the people. 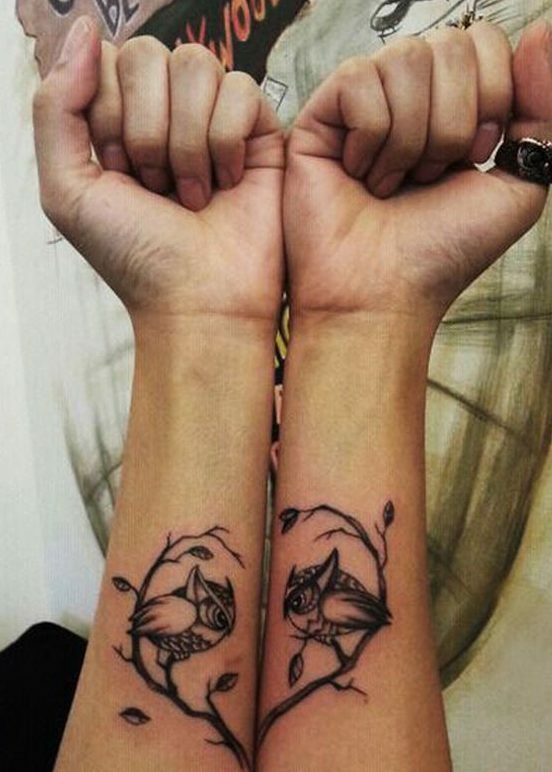 This is another lovely tattoo for mother and son which looks like a bird and is super creative. Birds have a really deep meaning when it comes to getting tattoos. Moreover,m people are obsessed with getting birds tattoos in different shapes and design. 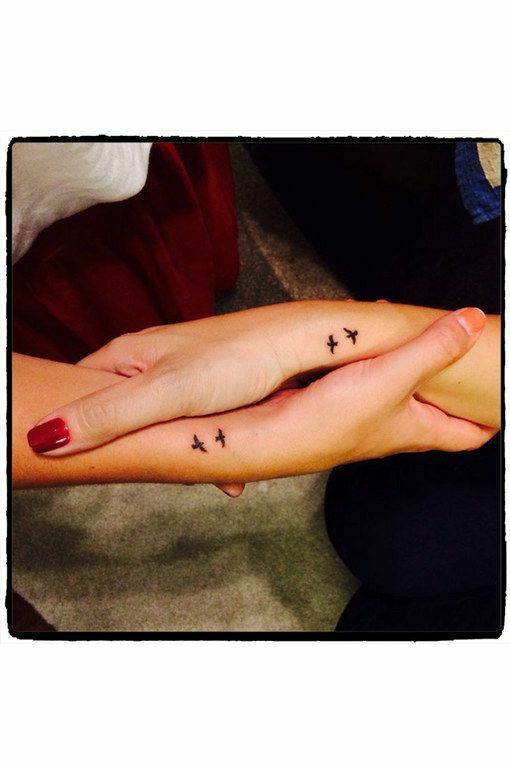 This is a beautiful tattoo of two tiny black birds for mother and son that looks very appealing. Some tattoos giving you very real feelings when it is something you can relate to. How gorgeous is this tattoo of a mother hugging her tiny baby? The colors, the whole look, the design, everything about this tattoo looks amazing. 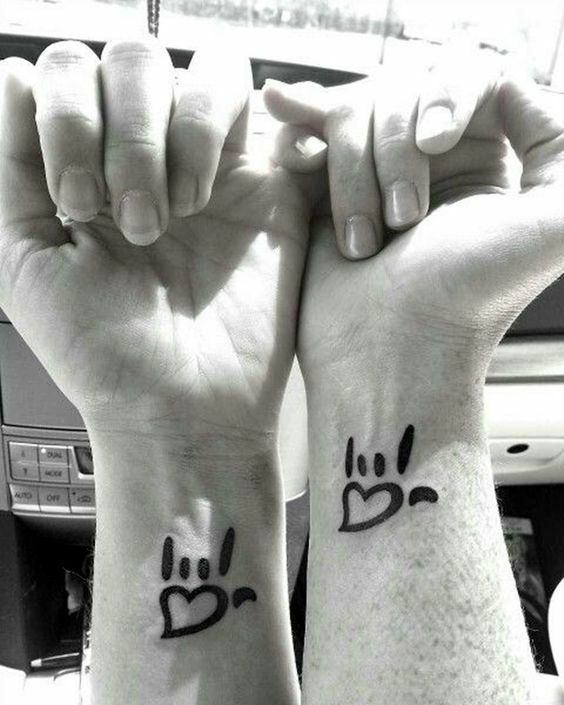 It is a really perfect tattoo for mother and son. Getting tattoos of cute animals with their babies is a super cute thing and it adds a lot to the whole look and feel of the tattoos. 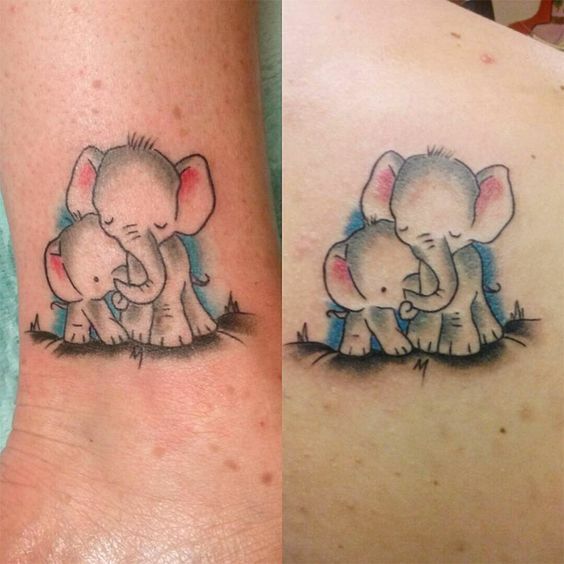 Look at this lovely matching tattoo of a mama elephant hugging her tiny baby elephant. Everything about this tattoo looks perfect. Some people take their tattoo obsession to a whole new level buy actually getting tattoos of things they love even when they are just ordinary items. 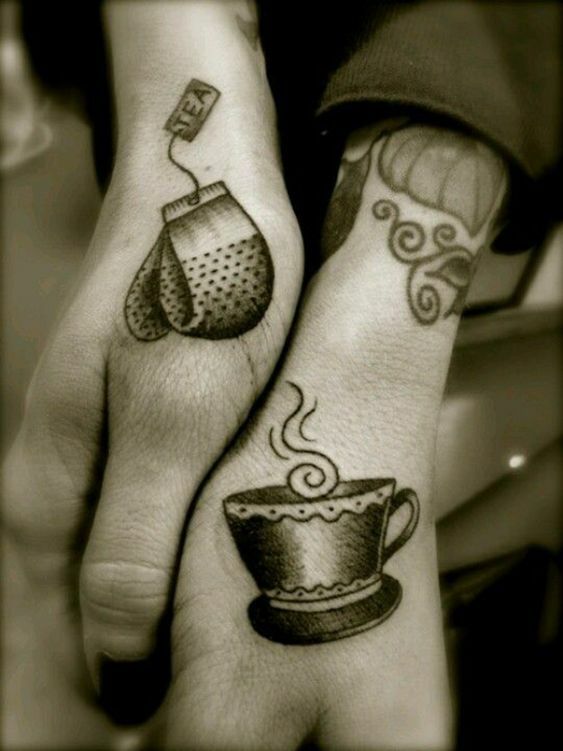 Now, look at this tattoo of mother and son where one person has the cup which has tea in it and the other has a tattoo of a teabag. Tattoos that look striking and give cute feels have always been in demand. 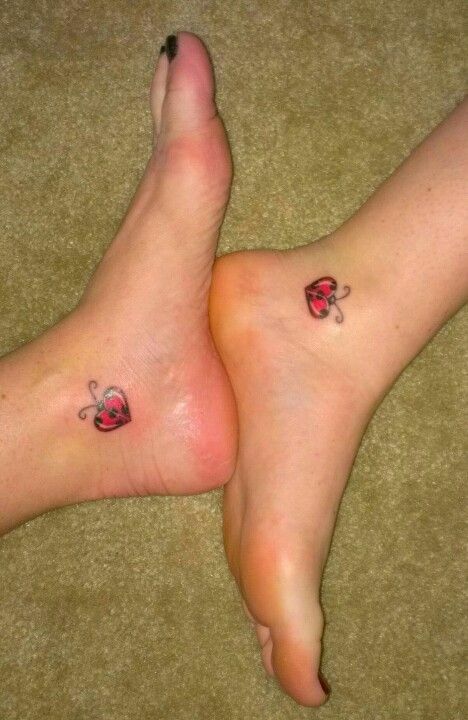 Look at this gorgeous matching tattoo of mother and son which has matching ladybugs that look very appealing. The colors and the whole design is very lovely. All of us adore colors and some people are a little too obsessed which leads them to get tattoos in various colors. 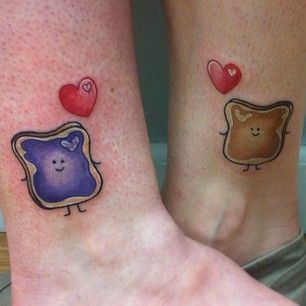 Look at this beautiful and cute tattoo which has two toasts with happy faces and a heart right above them that looks super lovely. Simple classy tattoos that have a deep meaning behind them are always the best and most preferred by people. 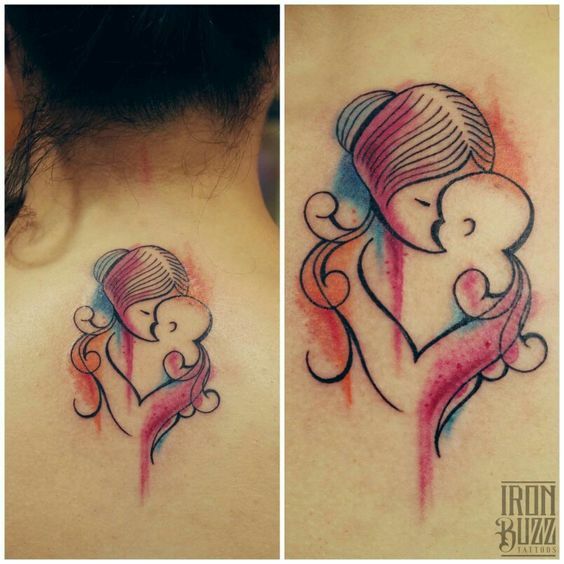 This tattoo is one example of such a concept where you can see the matching tattoos that have a beautiful symbol which looks like a mother carrying her child. Who says boys can't get cute tattoos for their mothers? Well, this is very wrong because even boys like getting cute matching tattoos for their mothers. 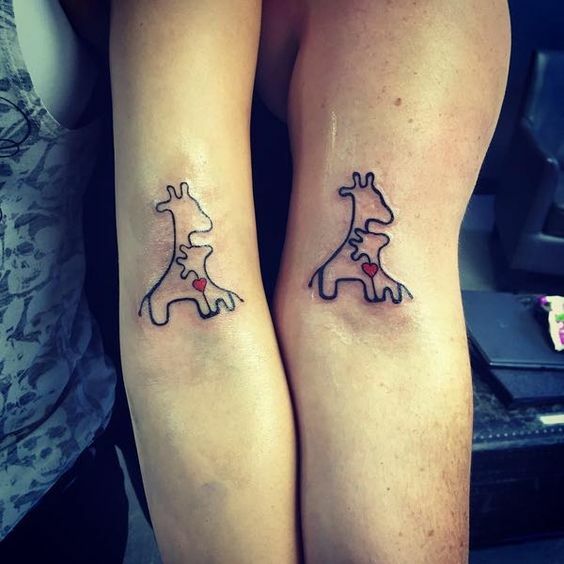 Look at this amazing tattoo of a baby giraffe hugging her mother giraffe tightly. Moreover, there is a tiny red heart in between. There is no denying the fact that fact that family is the most important thing in this world that has always got your back no matter what. Blood relations are the purest ones. 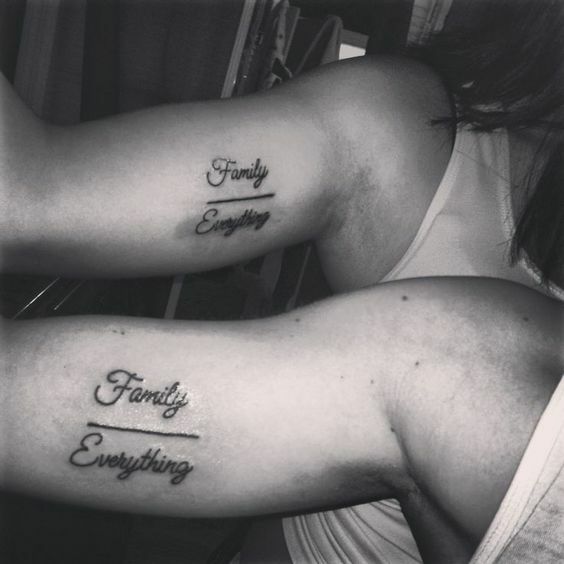 So, have a look at this amazing mother-son tattoo that says" family over everything" in a very creative way. 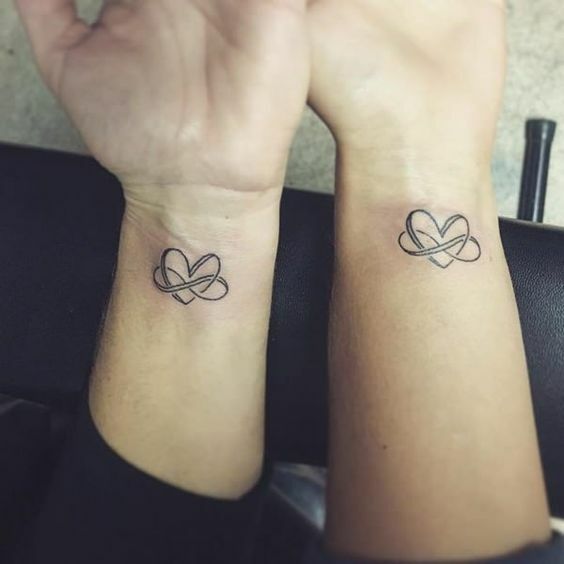 We have already seen some tattoos that have infinity heart but not all of them are same. Some people prefer tiny tattoos whereas some like to go for the more prominent and bigger ones. 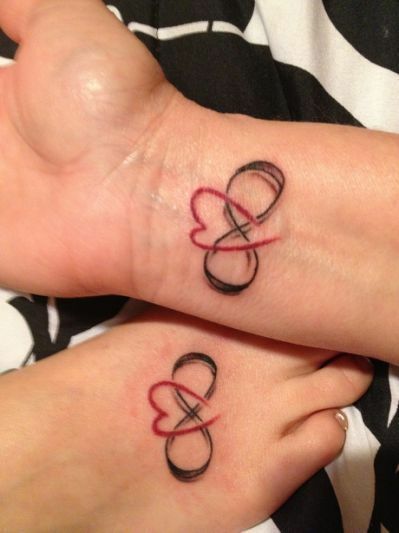 Look at this beautiful matching tattoo that has a big heart in between the infinity symbol. All of us adore a little creative and fun element in our tattoo that makes them look striking and appealing to the eyes of the viewers. There are tons of different tattoos that you can get for your mother. Here is one such creative tattoo that looks super amazing. Tattoos are not specifically made for any gender and you can get matching tattoos for any kind of relationship in this world. 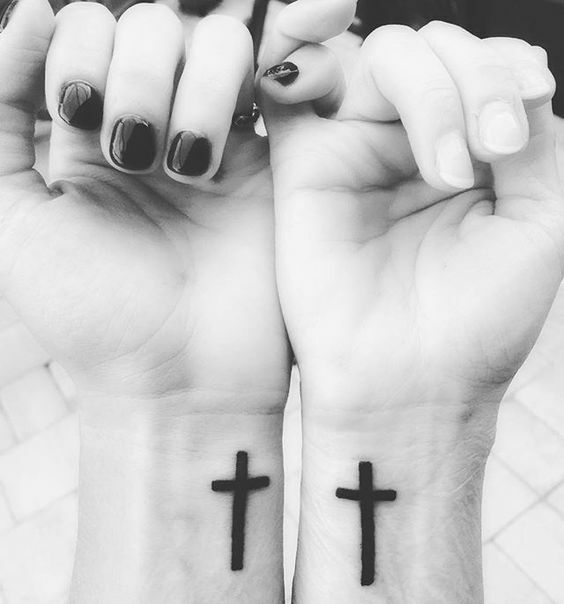 Look at this extremely neat and simple cross matching tattoo for mother and son that looks lovely. It is also a sign of faith so this tattoo is very spcial. Hearts are famous tattoo symbols loved worldwide and so are the roses. Combining both of these two can also make great outcomes. Look at this beautiful tattoo for mother son that has a heart with a rose in the side of the heart that looks lovely. Every tattoo has a meaning behind it that makes it extra special. People always tend to have stories behind their tattoos which makes them special. 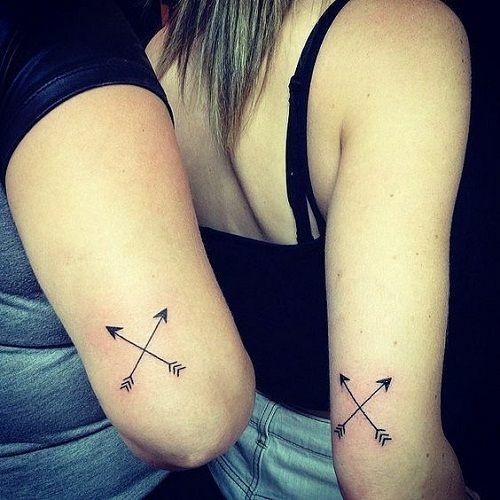 How beautiful is this tattoo of a cross arrow for mother-son that looks super simple yet is very creative? We all love tattoos that are a little creative and different from the rest and give a very special meaning. 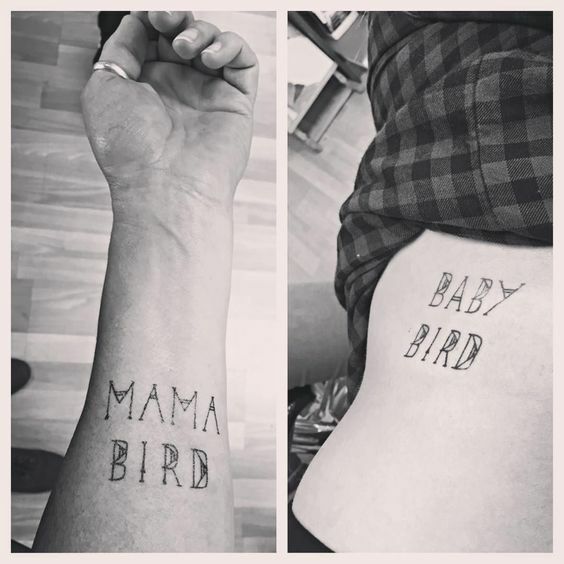 This mother-son tattoo is the cutest where the mother has got the tattoo "Mama bird" and the son has the tattoo "Baby bird" which is beautiful. Mothers and sons have a very special bond which knows no bounds. You can get something written for your loved ones in the form of tattoos to make them feel special. 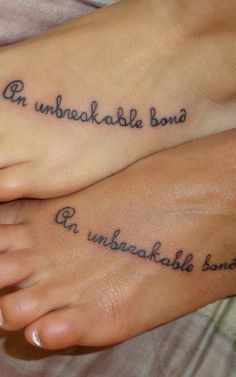 Here is one such tattoo which can be made for any relationship that says "an unbreakable bond". Infinity and a heart are two symbols that have a very deep meaning and are everybody's favorite when it comes to tattoos. 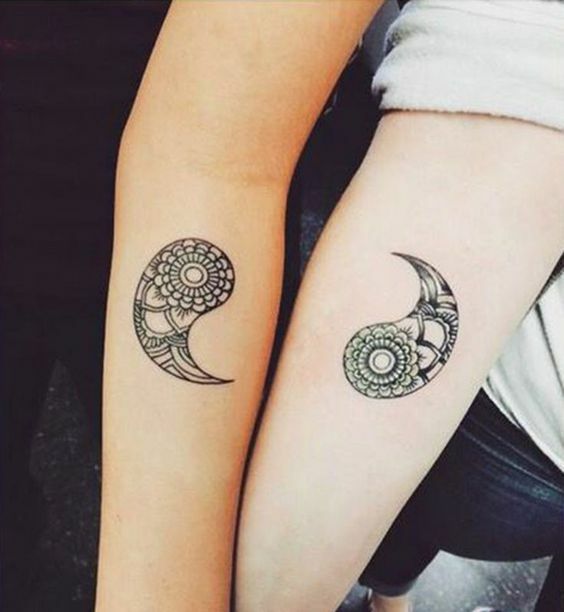 How about we mix both of them and make the tattoo extra special? This is one such tattoo where you can see an infinity symbol that has a red heart in between. Tattoos that express your true feelings are loved by almost everyone and instantly become extra special. Look at this beautiful mother son matching tattoo that has a moon and stars and below it, there is written: "To the moon and back" which means loving someone unconditionally.